Hello, and thank you for visiting our site. My name's Paul Butcher and I'm the President and Director of Research for POPULUS. It's been my great honor and privilege to serve in this capacity for POPULUS since 1999. I hope you find the information you're looking for on our site. If you would like any more information, please don't hesitate to contact me. In the meantime, I've listed below a short history of POPULUS. POPULUS®, a strategic marketing and HR research and consulting company, was founded in late 1984 in Greenwich, Connecticut, by John Fiedler and Lesley Bahner. In April 1990, the company moved to Wilderness Ranch outside of Boise, Idaho, bringing its Madison and Pennsylvania Avenue expertise to a sub-sub-sub-urban location. In John's words, the move "enhanced our insight, increased our productivity, and put almost constant smiles on our faces." In addition to providing strategic insights for clients, POPULUS was able to offer a unique location for "summit" meetings-as well as excellent skiing, fishing, hiking, rafting, and game spotting (such as deer, elk, wild turkeys, eagles, and an occasional mountain lion in the immediate vicinity). In the fall of 1999, Paul and Beth Butcher purchased POPULUS from John and Lesley. 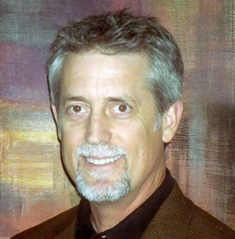 Paul continues to lead POPULUS serving as President and Director of Research. In October 2000, POPULUS relocated to the banks of the Boise River. Clients can join the locals in lunchtime fly fishing, floating the river, or walking along the 20-mile greenbelt and five parks that line the river. In addition to numerous golf and tennis facilities, the local area provides opportunities for direct-aid climbing, white water rafting / kayaking, mountain biking, water skiing, sailing, and alpine / Nordic skiing. Just up river is the Idaho Shakespeare Festival, the university, symphony, ballet, art museum and restaurant district. Boise has consistently been rated a "most livable city" by numerous organizations and publications. Recently the city has also been rated as one of the nation's best high-tech cities.